Adhering to the proper assumptions in any statistical analysis is very important. And there seems to be an assumption for everything. For this post, I’d like to clear up some confusion about one particular assumption for assessing normality. 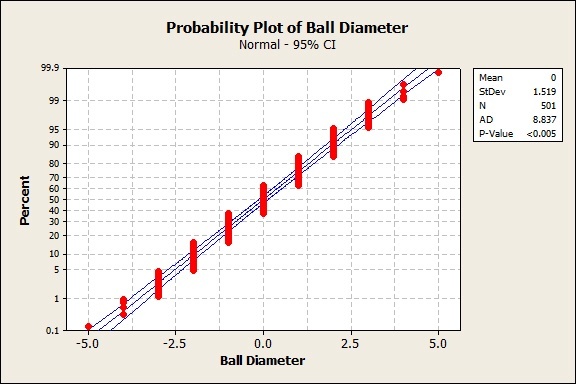 The p-value is less than 0.05, which leads us to reject the null hypothesis that the data comes from a normal distribution. What happened? Well, we ask the person to give us a little more information about said data set. We find out that that the data is in fact discrete, not continuous. He says that there is no way to output a value between two integers. This is not simply due to the imprecision of the measurement tool; no such value between integers exists for the domain he is working in. The underlying assumption, before performing a normality test, is that the data is continuous. 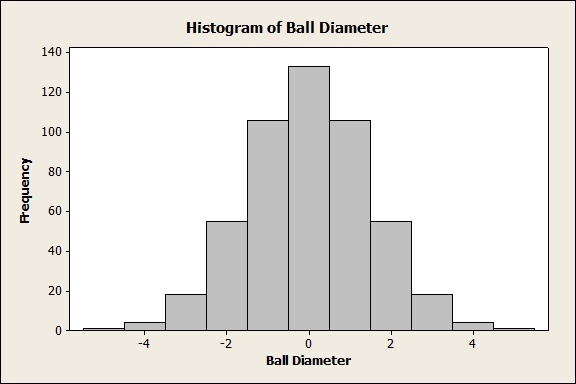 When viewing discrete data, you lack information between any two integer values. This loss of information can make it hard to assess normality, i.e. 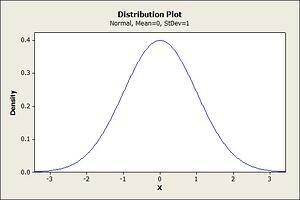 that the underlying distribution really does resemble a bell curve with a specific mean and standard deviation. This bell curve assumes that you are looking at values between integers as well. Although it can make for a really nice histogram, it can make for disastrous results when performing a normality test. It’s important to fully understand what requirements are for an analysis before conducting it. Not taking your assumptions seriously wouldn’t be the “normal” thing to do!